This page is for the 7290 Traffic Net members who would like to contrubute an article or story of general Amateur Radio interest. The following net members have reported to sick call. If you know of anyone else that should be added please let us know. See Net Reports for complete details. 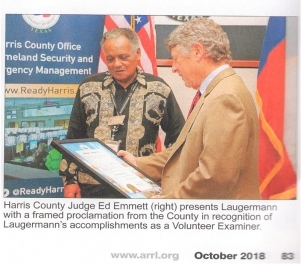 I recently had the opportunity to sing the praises of the Texas Amateur Radio community in an article for the TDEM online EM Magazine. They were able to glean info from support during Harvey as well as recent events during Summerfest. I want to thank you all again for the support you and your groups have given Texas and the nation. The link below is to the article on the TDEM website. Welcome to the new check ins and welcome back to those that have not checked in for awhile. Many thanks to our Net Secretary, Alan N5MSE, for his work in putting this list together and to our Net controls for their help. 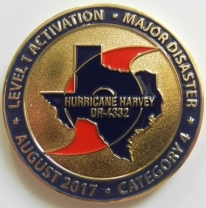 Hurricane Harvey disaster in 2017. We would like to collect pictures of the net members shacks for the Photo page. If you would like yours included please send digital image file or printed photo to Jo Ann KA5AZK. The DARC would like to invite everyone with the capabilities of accessing the Dallas repeater to join them on their various nets, one of which is the VETNET, as John explains below. “The Net has been on for more than a year and has active military members, vets, supporters of our VETS, etc. ....we even had a checkin from an active duty soldier in the Middle East the last few nets via Echolink. It's really popular and great even for mobile stations in and around the Metroplex ! Thanks to KE5ZCM for providing the digital info cards attached. 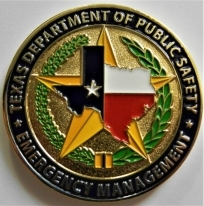 If you are in the Dallas area and are interest in taking part in CERT training, please contact John KF5IOU for information. Also follows links to forms that will be needed. 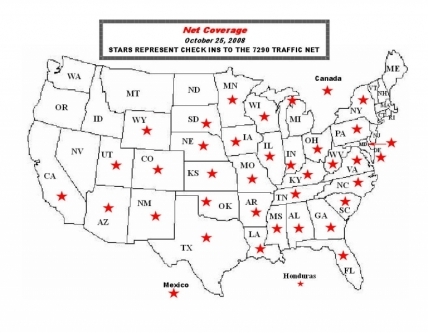 A list of frequencies are available here for the Hurricane Net during hurricane season. Our Net Secretary, Alan N5MSE, was recently interviewed by the Bowie Newspaper about his Ham Radio hobby and his involvment in the local Ham Club. Congratulations Alan. You may read the article here. A few month's ago I received a request via email from a Ham in Yellowknife, Canada for a recording of our net in operation for them to use as training for their ARES group they were starting. They saw our web site and contacted me. I recorded George K5BMR (he's always loud at this QTH) opening the net and taking checkins. This is the letter we received thanking us for helping them. Check out this site for the latest information on solar activity. The Hamilton Newspaper recently published an article about Bill KC5DFV and his service in WW II. You may read the article here. 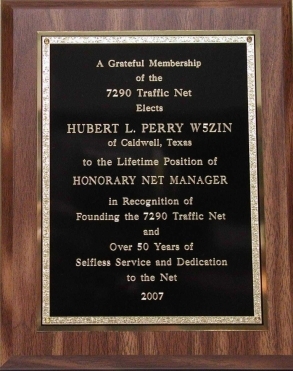 The Bryan Amateur Radio Club presented Hubert W5ZIN, of Caldwell, Texas, a Special Service Award for his services as Net Control of the local 2 Meter Net and in recognition of being one of the clubs original members who has promoted Amateur Radio in the Bryan area. Our thanks to Dale WA5GVE for sending this info and picture. 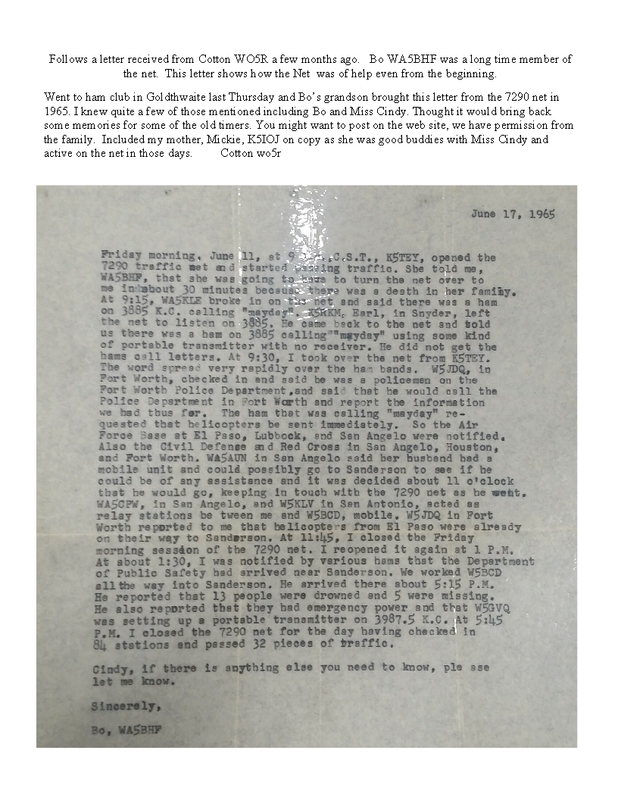 Cotton WO5R recently sent us a copy of a letter dated 1965 showing how our Net was helpful getting help to people. You may see the .jpg letter by clicking here. Or a Word Document may be viewed here. 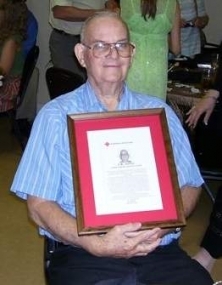 The Orange County Chapter of the American Red Cross presented JR Aaron, K5SUB a special award for his many years of service to them. 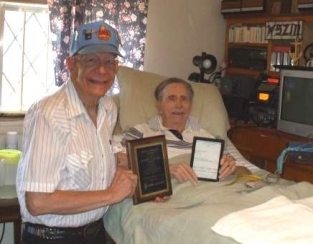 An Amateur radio operator will be honored each year with an award to be called the "J R Aaron K5SUB Award". Each year a ham's name and call that does outstanding emcomm service will be added to a plaque. This plaque will hang in the main meeting room of the RC. Public Information Officer for Orange Co.
Assistant Emergency Coordinator Orange Co.
At 1:15PM, To update the situation at the Coast Guard EOC, In response to the Oil Spill, District 9 ARES radio operators are still assisting with the logging aircraft and personnel who are involved with different agencies. The Incident Commander, Rich Russell, was quoted as saying "Comms are Great" with the help of the Ham Radio Operators and "Hams needs to be incorporated in entire program". Tootie Heintschel (KC5HVT) ,the EC forJefferson Co. was pleased to hear that information. The District 9 ARES operators will remain on site at the EOC and the Jefferson Co. Airport as needed directed by Mike Rentel with the Gallagher Group Marine Systems. This will be the sixth day work with the Coast Guard and other agencies involved with the clean project. Tootie (KC5HVT) said all is going well with volunteer radio operator. As of today the ARES group has logged in 209 man hours. Rich Russell said that they will use the Hams until the situation is under control. Some of the Hams that had a chance to ride in the helicopters to help with comms were Kirt Mahaney (N5WKM), Doug Thomas (N5BST), and Ray Farley (WA5DQW).